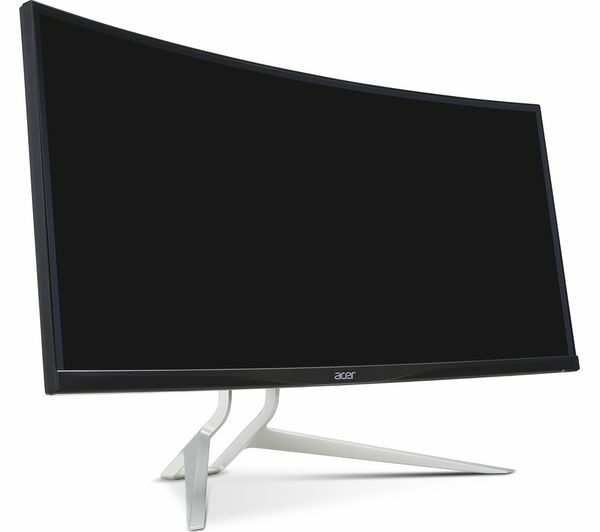 The XR342CK is part of the Acer XR series, deliver immersive visuals to enhance your computing entertainment. 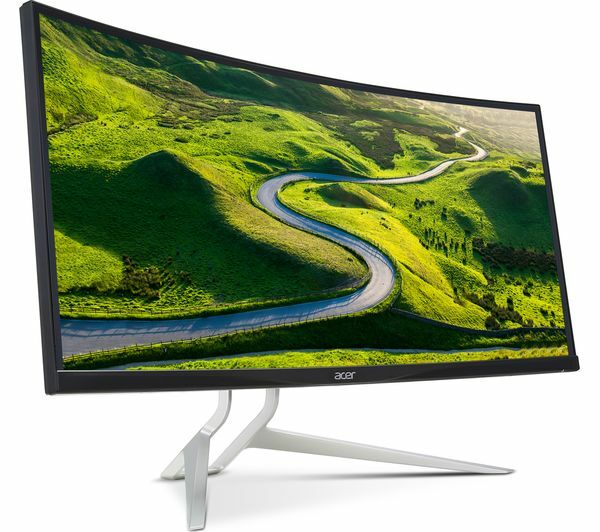 With a 34" curved UltraWide QHD display, the monitor ensures an enjoyable experience whether you are watching your favourite film, exploring fantasy game worlds or just completing your daily work tasks. Colours are created accurately by 100% sRGB, making the monitor ideal for design and photography professionals and enthusiasts. You can also enjoy clear audio using the monitor's integrated 7 W speakers to enhance your experience whilst watching films, playing games or listening to music. 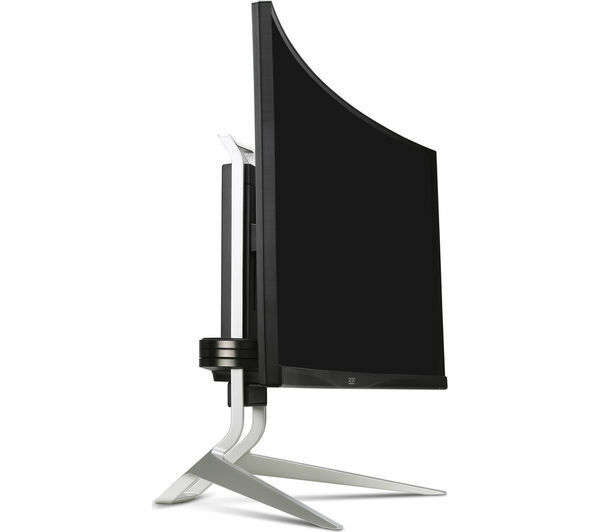 You can take your gaming experience to the next level by using the XR342CK's GameView technology. This setting can be tweaked to allow you to save up to three custom profiles which can easily be switched between while gaming, allowing you to find the ideal settings for each game. 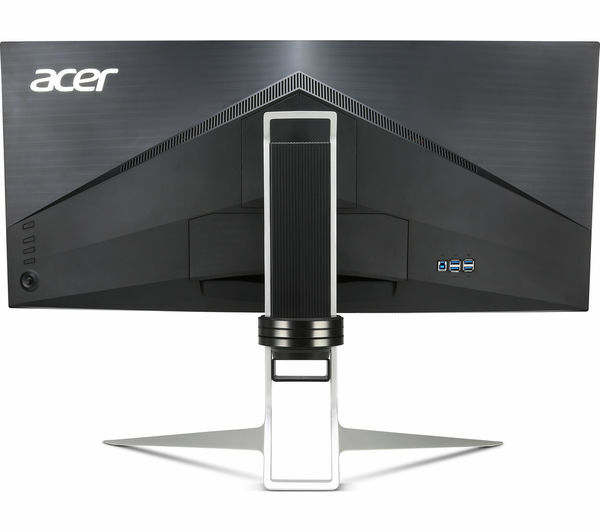 Suitable for multi-monitor setups and providing different lighting effects to enhance the gaming visuals, the monitor is an ideal choice for gaming enthusiasts. It is quick and easy to adapt the XR342CK into your existing computing setup. With HDMI 2.0 and DisplayPort connections for handling high rates of data transfer and four high-speed USB 3.0 ports, you have plenty of options when it comes to connecting your devices and peripherals to the monitor. You can also take advantage of MHL to connect your smartphone to the monitor, allowing you to enjoy the contents of the mobile device on a much larger screen. I can't compare this to other displays of this type, it's my first 3440 x 1440 monitor. The 21:9 ratio for me however is perfect. Having two windows next to each other is almost like having two 4:3 displays with plenty of pixels and no break in between. The curve is barely noticeable after a while and the real benefit to it is that there's no sheen towards the edges as you're not viewing at an angle. Looks great and built solidly. The LED's were a non-feature for me before buying but having my desk lit up directly beneath is a huge pro now. Only 75hz. 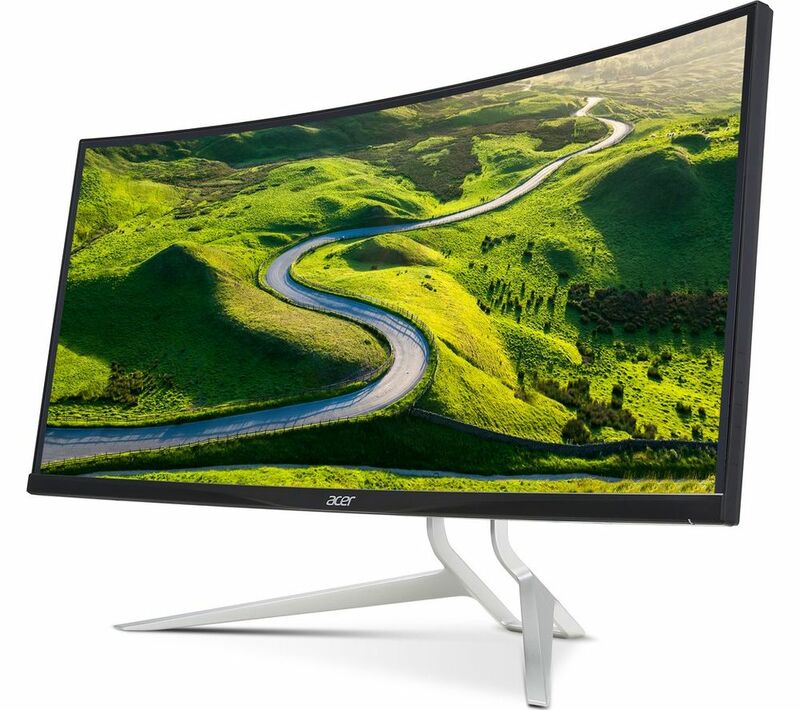 Plenty of non-curved at this price hit 100 or 144. The stand is a huge obstruction on your desk. You need an least a 2-foot deep desk to fit a mouse and keyboard in front of it because the points are exactly where your hands will be.